An ex-Infosys Software Engineer and a Computer Science Engineering graduate from UPES, Dehradun. 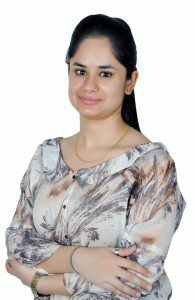 For the love of data science, Manmeet pursued Masters in Computer Science from Amity College of Engineering and published her research work on sentiment analysis in renowned international journals of the publishers such as Springer and Scopus. She likes to play with data sets and enjoy discovering hidden patterns in data as much as she loves to play synthesizer. She has learnt classical music for 5 years and is really fond of music. A Cynophilist and numismatic are the other adjectives to describe Manmeet Kaur.